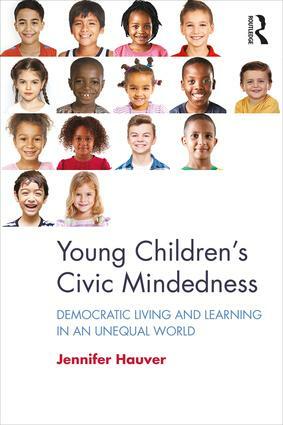 Young Children’s Civic Mindedness provides a well-grounded understanding of children’s civic thought and action by inviting readers to look and listen carefully to the voices of young children themselves. Grounded in research on children’s evolving civic identities and drawn from extended case studies and rich narrative vignettes, this book shows the many ways even the youngest children can be civic-minded and political. The book engages readers in thinking about the many ways children reason about and approach civic problems; how children’s experience in various local and larger contexts shapes their thinking and action; and the environmental factors that delimit what children see as possible in civic spaces. Written for early childhood, elementary and civic educators, this book encourages readers to go beyond mere rhetoric on the importance of civic education, to develop improved ways of teaching for children’s civic development. Interpersonal Understandings: How Do Children Understand Others? Extrapersonal Understandings: How Do Children Understand Civic Problems? Intrapersonal Understandings: How Do Children Understand Themselves in Relation to Civic Spaces? How Do Children’s Understandings Inform their Engagement? What Do Children Learn as a Result of their Engagement? Jennifer Hauver is Associate Professor of Education at Randolph-Macon College, USA.